Coincidentally I am the one who enjoy reading romance more than horror, thriller or any genre for that matter when it comes to reading. Rishaan the protagonist and his love interests Kiara and Diya at different point of time and situation make significant characters with their separate identities and inherent quirks and expectations. But they indeed share a commonality; an ever searching toil of filling the void in each one’s heart. Rishaan is this dreamy, idealist, middle-classy boy-next-door. He is spontaneous, talented and great fun to be with but could also be tremendously higgledy-piggledy like most other husbands-in-making young men. Kiara as described by author himself is a spunky, freethinking, free spirited Bengali bombshell. Someone who lives a life with her own terms and viciously honest. Yet amidst the unpredictable differences, the two begin their journey of relationship with intense infatuation. Diya, to the converse, seemed to be a strong, calm woman who is definitely in control of her life despite the chaos around. There is something very attractive about her womanliness too. Rishaan is strained to her silently. Rather than carnal wishes, shared compassion, companionship and long conversations is the basis of their bond. Since Kiara and Diya are bosom friends, how the interpersonal dynamics between the three creates stirring situation and the innermost feelings and universality of human reactions to love, betrayal and hurt is resplendently exhibited through the tale. I would like to dislocate my share of earful on the story here without further sharing any more details, and trying not to spoil the reader’s eagerness and allowing them to savor the original narration or compelling expression by the writer himself by reading the book itself.The climax was quite interesting with twists and turns as they unfold. For that you need to read this book. 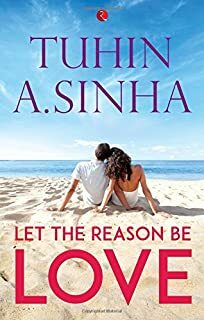 Characters strike a chord with the modern urban metropolitan readers especially Mumbaikars with everyday minute nuances(be it the quirky auto drivers or a smooth-talking boss in loveless marriage) and relationship dynamics being skillfully portrayed. A fearsome, stimulating, challenging, interesting, and provocative fiction of quests clouding contours between vampires and humans is simply mind blowing. The author has added some vernacular lingo and famed movie songs to add his personal style. The book is an absolute page turner but somehow I wanted it to end differently. So there I was, a bit gloomy. If all you want is a light, breezy and effortless but wistful read that takes you through that vulnerable, unpredictable, fallible love lane and expose you to the myriads of warm kindled sensibilities, soak into it. You never know after reading this, you might feel lucky enough for what you have or maybe what you don’t have!